When Kickstarter fails to crowdfund your project, there’s always an alternative in Fig. 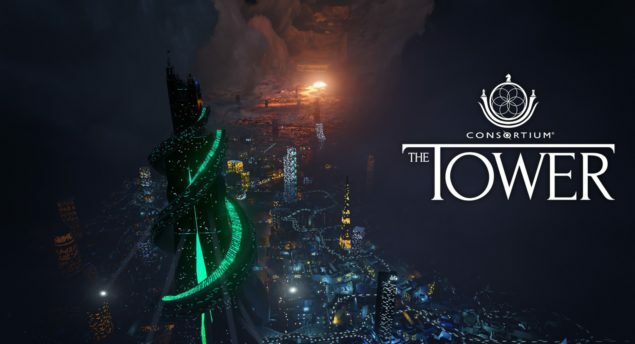 FPS RPG Consortium: The Tower has taken a chance on the secondary funding platform after raising less than half of its expected total in its original campaign. Just a short time after launching on Fig, the developers have already raised more than $170,000 of its $300,000 total, and there’s still more than 30 days left to collect the rest. Here the developers describe the game in their own words and, just as important, GIFs. The experience of The Tower is one of absolute freedom of movement, speech and action, within a single-location, sandbox environment. There will be no cut scenes, and full control will never be taken away for “gamey” reasons. Immersion is absolutely paramount, and to that end the world within the Tower will feel realistically alive and reactive to however you choose to approach each and every situation. A branching, “waterfall” narrative and dialogue system should appeal to those looking for a truly replayable experience, and will ensure that your decisions are plentiful without feeling cheap or obvious. DIPLOMACY – Choose to speak any time and anywhere with the push of a button. While rather difficult, you will be able to play through the entire experience without raising your weapon. Trick, bribe, scare, hire, or simply convince potential combatants to disarm, all while developing relationships with your crew, other Consortium officers, the London Police, and any other characters you meet throughout the experience. EXPLORING THE TOWER – The Bishop’s arsenal of customizable, futuristic gadgetry gives him immense freedom of movement. Run faster, jump higher, glide through the air, breathe underwater, and fall from great heights, all while exploring every nook and cranny of the Tower. (Stealth update to come during campaign) – The Bishop can also utilize highly experimental, potentially dangerous stealth technology, such as invisibility and sound dampening. COMBAT – Find yourself in the middle of intense firefights, and choose to either kill or incapacitate all those in your way. The Consortium officers working with you will praise you for using non-lethal means, but will react with increasing alarm should you too often resort to murderous violence. There may also be other factions interested in aiding you through the Tower, should the Consortium turn its back on you. As with CONSORTIUM before it, many events within The Tower will play out regardless of your interaction with them, creating an environment cultivated for immersion and replayability. Your chosen actions (and inactions) within this environment will cause ripples, dramatically impacting the unfolding narrative in major ways. You can check out the fundraising campaign here. For more about Consortium: The Tower, go read our exclusive interview with the creators.